Speculation How will The Resistance fill out its ranks now that it is so depleted? Discussion in 'Star Wars: The Rise of Skywalker - IX: SA' started by Leoluca Randisi, Dec 8, 2018.
do you guys think they are setting up characters from the shows that could join the Resistance in Episode 9 even if just as Easter eggs that only Fanboys that watch the shows would notice kind of like the name drop of Hera Syndulla in Rogue One? I suppose characters in the Canon books In the Disney era can be grouped in here too may be characters from the books can be in Episode 9 as well? whostheBossk and IlhamKamaruddin like this. Given that TLJ makes a point of showing that word of the battle of crait and subsequent survival of the resistance has spread far and wide, I’m guessing that forces from several formerly republic planets coalesce and refill the resistance ranks several times over. As far as characters from the shows, I probably wouldn’t bank on it, though given Saw Guererra there is some precedent. Leoluca Randisi and godisawesome like this. Rogue New Republic supporters, and maybe a lot of stormtroopers will defect. Leoluca Randisi and Django Fett like this. Rise of the Resistance has already given us a clue that they manage to gather a fleet together. Well, TLJ already stated that they still had allies out there, and you can always bet on people joining the fight, especially when you consider how recent all the events where. This was a quick strike by the First Order that had the entire galaxy reeling. At that point there were plenty of people out there who would be willing to fight, you just need a way to rally them. I don't think that they will use anyone from the animated shows for that. At least not in any noticeable fashion. A name-drop like in Rogue One sounds more likely to me, if they would bother at all. There is an unconfirmed rumour that between VIII and IX the Resistance has sent pairs of Resistance fighters to lots of areas of the galaxy, to recruit those sympathetic to the Republic and resistance cause. And the so far unanswered call to allies in VIII seems to indicate they are out there. Secondly, the speculation of a stormtrooper rebellion. This would make sense dramatically and narratively, and bolster the Resitance's chances. Thirdly, there is the possibility of some kind of amalgamation of the Republic and First Order at the climax. This is just a theory on my part, but it could be at the height of the conflict something happens regarding balance that involves more than just one side wiping the other out. The First Order would have to change a lot in this scenario however. This is where nostalgia comes into play. I'm sure JJ will bring in several worlds from all over the galaxy that we've all come to love in the saga: Naboo, Tatooine, Bespin, Coruscant...and bring them all in to show that the entire galaxy is on board to defeat the FO. Oh that and, as others said, Finn recruiting stormtroopers who feel the way he felt. Leoluca Randisi, Darth Gummybear, Bor Mullet and 2 others like this. Broom boy is totally getting a cameo. Luke02 and Leoluca Randisi like this. Broom boy is gonna sweep the First Order right outta the galaxy. leopardhk47, Leoluca Randisi, Darth Smurf and 3 others like this. No. Even better. JJ will have Greg Grunberg come rocketing back in his X-Wing at the critical moment, shouting "Sorry I'm late guys!!!" over comms and turning the tide. Leoluca Randisi, Bor Mullet and The Regular Mustache like this. Perhaps they go into the Midiclorian Realm to recruit former Jedi and that's how Luke comes back and they can get Han and Obi-Wan, Anakin, Yoda and the rest is history. Broom Boy is Raddus in disguise. Leoluca Randisi and Bor Mullet like this. Darthur C. Clarke, Leoluca Randisi and Darth Smurf like this. Broom Boy will turn up in the middle of the battle and challenge Kylo, they'll face off and shadow box without actually touching blades. Broom Boy suddenly extinguishes his blade and stands there, infuriated, Kylo charges and tries to cut Broom Boy in two. Kylo's blade passes clean through Broom Boy but it makes no difference. "See you around old man"
Broom Boy disappears as we cut to the stables on Canto Bight, Broom Boy is hovering above a fathier with his friends watching around him. Suddenly Broom Boy collapses and dies, fading from reality and becoming one with the Force. leopardhk47, HevyDevy and Leoluca Randisi like this. All kidding aside I really liked the broom boy scene it was a different way to end a star wars movie without a Hero shot to end the film it had a magical feel as did the scenes with Rose and Finn on Cantobight had a very PT Feel! Going back to the original post, an intriguing possibility for a potential ally or even one of the fallen students massacred by Kylo. 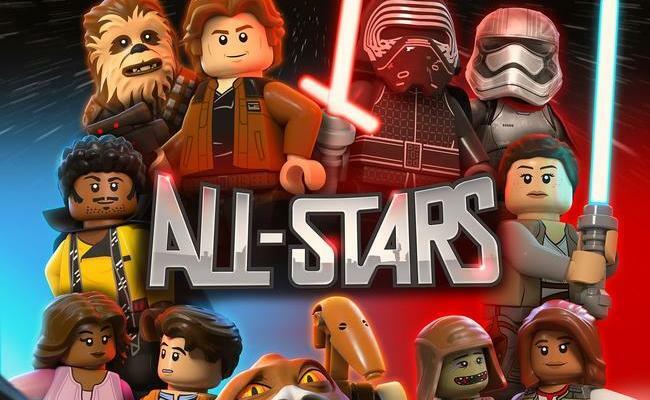 I'd much rather they draw from CW or Rebels when it comes to characters, not Lego or Resistance, neither of which are frankly at all appealing to me. Bringing back Ezra and Ahsoka for example would help tie everything together - adding Kaz to the cast would just result in buffoonery. Well I kind of meant Rebels and Clone Wars as well don't know why I didn't mention those shows, my bad. Easy: have Lando lead whatever is left of the New Republic fleet/military. Since we know Billy Dee is in IX, it's probably gonna be a bunch of scoundrels joining the Resistance. 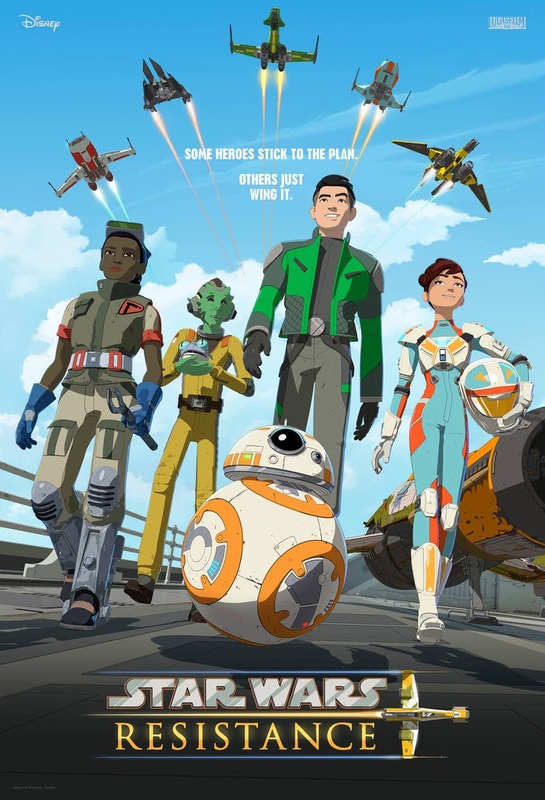 I DO NOT want to see any of the new characters from "Resistance" actually joining the Resistance. Recruitment centers set up throughout the galaxy. They will visit high schools and promise huge enlistment bonuses and free college.